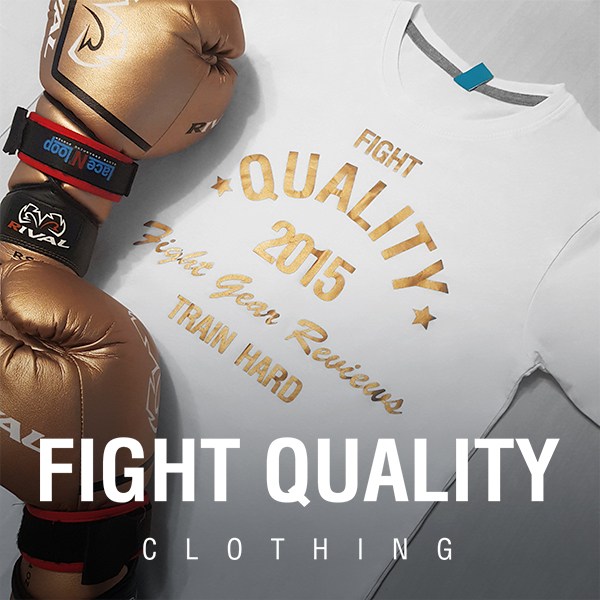 Welcome to the Fight Quality ultimate guide to everything you need to know about boxing gloves, updated for 2019. When we originally wrote the first version of our Ultimate Guide back in 2016 we wanted to bring you the absolute best resource for everything you could possibly want to know about boxing gloves. Since then the guide has undergone several updates, reflecting the changes in the industry, technology and brands. Recently released on Netflix, Conor McGregor: Notorious is the ‘fly on the wall’ style biographical film about the life of the Notorious Irishman, following his career from fighting in small shows to taking on Nate Diaz in the UFC. Featuring training footage, behind the scenes locker room footage and clips from his fights and interviews it charts the remarkable rise of the most well known UFC fighter to date. Jimmy McCabe (Johnny Harris) was a champion youth boxer with top prospects whose life took a turn from a worse. At rock bottom and seeking solace in the bottom of a bottle he decides to return to the only skill he’s got. A Prayer Before Dawn is based on the 2011 autobiography of Billy Moore, a Liverpudlian boxer who moves to Thailand to escape a history of drug abuse and crime. Diverting slightly from our normal film reviews we aren’t covering a fictional film, we’re reviewing the documentary ‘Dawg Fight’. This chapter in the Rocky saga (you can find the previous Rocky films we’ve reviewed here) sees The Italian Stallion take a different role. Suffering with a brain injury from the beating he took at the hands of Ivan Drago in the last film Rocky has to officially retire from fighting, but finding his money has been squandered he reopens Mickey’s gym and starts training fighters. The next instalment of the Rocky franchise sees the champ still holding the belt and a new challenger rising – Ivan Drago (Dolph Lundgren). Set 18 months after the events of Kickboxer: Vengeance, Kickboxer: Retaliation sees Kurt Sloane fighting MMA, having vowed to never return to Thailand. Of course this doesn’t work out, and he finds himself kidnapped and imprisoned near Bangkok. Rocky 3 finds the champ at the top of his game, with 10 successful defences of his title behind him he’s fighting exhibitions against wrestlers, starring in TV ads and unveiling statues of himself. What Types of Punch Bags Are There? We recently wrote about Why Heavy Bags Are Useful for Boxing, MMA, Muay Thai and other combat sports, so we decided it would be a good time to cover the many different types of punch bag which exist, and why most of them have slightly different purposes. Continue reading What Types of Punch Bags Are There? MMA is a tough sport to reach superstardom in. A well placed head kick (Ronda Rousey vs Holly Holm) or a solid wrestler (Francis Ngannou vs Stipe Miocic) can derail the hype train very quickly. That said, there’s always a new generation of MMA fighters working their way up the ranks, taking on the current stars of the sport and trying to make their name. It difficult to argue against the suggestion that the ground game of MMA is the most technical element of the sport. The first two UFC tournaments were won by Royce Gracie, a ‘man in pyjamas’ who turned up and taught the world what a high level BJJ practitioner could do. It quickly became essential for MMA fighters to become proficient at ground fighting, and many other accomplished BJJ players have made the transition to MMA – leading to some painful submissions, nasty bone breaks and many people getting choked unconscious. Combat sports are an ever-changing landscape of fighters, with new names popping up constantly. All fighters have heart, and all fighters have talent, yet of all the fighters who have stepped up over the years, there are some who stick in our minds, who changed the way we think about the sports we love, and who are truly inspirational to today’s generation of martial artists.